Quality user stories are essential to a successful software project. No large software project will be delivered on time and on budget if it starts with poor quality requirements or user stories. User stories are mainly about communication between business and technical staff. Their purpose is to help ensure that the communication is clear and effective. Often user stories (and the backlog) are the requirements statements. They are often a proxy for requirements specifications. Creating high quality stories is hard. The wonders of the English language give us near infinite ways of expressing the same thing. This flexibility also leads to potential differences in understanding. We have seen stories as little as two words and as much as a page of text. On the whole, shorter is better, but be careful not to miss out functionality. Better user stories will avoid bugs. Many software teams do not realise just how important it is to work from good quality requirements or user stories. As much as 20% of all quality problems with software are caused by problems with requirements. The business case and functional need are the most important aspects of good user stories. By this we mean “Who, needs to do What and Why”. Who is the user (human or connected system), what is the data handled and moved, and why is what follows the “so that” in a user story. Focus on these and avoid the how (exclude design statements). ScopeMaster performs realtime analysis and correlation of the text of user stories to help you improve the suitability of the language to achieve, clear, concise, complete, consistent requirements. By focussing on Who and What we are able to deliver the most relevant and useful suggestions. Not only does ScopeMaster examine and analyse the language of each story, but it also cross references every story against all of the others, to detect and highlight inconsistencies, omissions and duplicates, that you can then use to refine your requirements. The smart interface of ScopeMaster dynamically identifies missing stories and makes it even easer to add them. 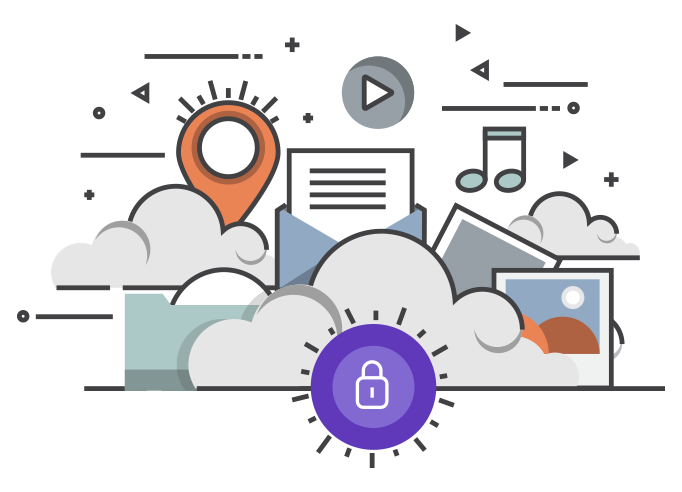 ScopeMaster overcomes the vast range of possible expressions of requirements by using a form of Artificial Intelligence know as Natural Language Processing. This allows you to express your user stories in terms specific to your industry; the tool requires no prior training. ScopeMaster scans user stories (or software requirements) for appropriate language that will help you write clearer, concise, complete and unambiguous stories. INVEST – is a commonly used checklist for agile user story quality. 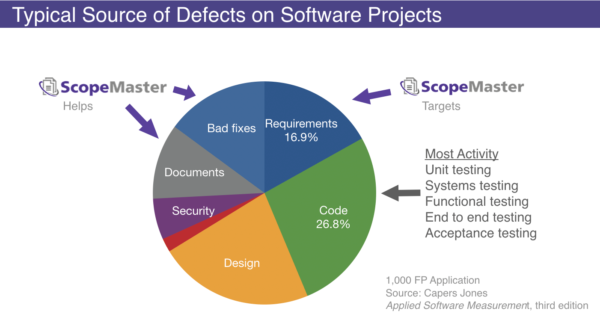 *ScopeMaster helps the author find and fix these problems (over 50% of all requirements defects). Again, we see that over 50% of the categories types are addressed by ScopeMaster’s analysis engine. Use ScopeMaster interactively at the beginning of your project to improve your user stories before design and coding is fully underway. You can continue to refine the stories throughout the development process. The great thing is that you will have avoided rework by starting with a better foundation of quality user stories. Alexander proposes steps to achieve a good quality user story, proposing the following as a “refined” user story. We ran this through ScopeMaster in isolation and it instantly detected the primary functional intent and measured the size as 4 Cosmic Function Points. 1161 CFP total size estimate.